Simon & Schuster, 9781439177396, 368pp. In this gripping story of three tough-minded American civilians carrying out the most audacious military social science experiment since Vietnam, journalist Vanessa Gezari shows how their humanity is tested and their lives are changed forever when a lone Afghan attacks one of them in an open market. What happens when the Pentagon sends three Americans to help carry out the most audacious experiment since Vietnam? On the day Barack Obama was elected president in November 2008, a small group of American civilians took their optimism and experience to Afghanistan, then considered America’s “good war.” They were part of the Pentagon’s controversial attempt to bring social science to the battlefield, a program, called the Human Terrain System, that is driven by the notion that you can’t win a war if you don’t understand the enemy and his culture. The field team in Afghanistan that day included an intrepid Texas blonde, a former bodyguard for Afghan president Hamid Karzai, and an ex-military intelligence sergeant who had come to Afghanistan to make peace with his troubled past. But not all goes as planned. In this tale of moral suspense, journalist Vanessa Gezari follows these three idealists from the hope that brought them to Afghanistan through the events of the fateful day when one is gravely wounded, an Afghan is dead, and a proponent of cross-cultural engagement is charged with his murder. Through it all, these brave Americans ended up showing the world just how determined they were to get things right, how hard it was to really understand a place like Afghanistan where storytelling has been a major tool of survival, and why all future wars will involve this strange mix of fighting and listening. Gezari is the only journalist to have gained access to the lives of people inside the troubled Human Terrain System, including the brilliant, ambitious figures who conceived it. The Tender Soldier is the first account of this historic, little-known mission. In the best tradition of The Good Soldiers and The Things They Carried, this is a true story of war and sacrifice that will upend your ideas about what really went wrong in the war. Vanessa M. Gezari holds the James Madison Visiting Professorship at the Columbia University Graduate School of Journalism. She has written for The Washington Post, The New Republic, Slate, and others. She lives in New York. 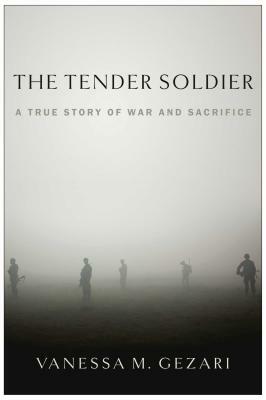 "Bravely reported and beautifully told, The Tender Soldier is a crushing story of good intentions and war. Vanessa Gezari is an unflinching journalist, and she has written a great, angering, and heartbreaking book that in its many layers is as damning as it is honorable." "The Tender Soldier takes readers on an eloquent journey back through one tragic American death in Afghanistan. But its larger point is a hard-fisted critique of the U.S. military's chronic inability to understand the larger world in which it operates. It is a book worth memorizing, and repeating to U.S. decision-makers, when the next Iraq or Afghanistan presents itself—as it surely will." "Gezari's gripping tale of American idealism gone wrong is vital reading for anyone interested in America's decade of war in Afghanistan. Beautifully told, the book illuminates one of the most interesting and little known programs in recent U.S. military history." "Readers get a sobering feel for the difficult task of waging a war on foreign soil, as well as the travails of hardworking and often brilliant individuals struggling to change enormous political and social systems for the better. Nuanced, readable, and utterly engrossing, Gezari’s exposé is a revelatory and unique look at the war in Afghanistan."